Cosmetics business has become too lucrative in recent times with the bleaching trend hitting Africa with a population of 1.111 billion (2013). This act of bleaching is more rampant among women with a small number of men indulging in it. 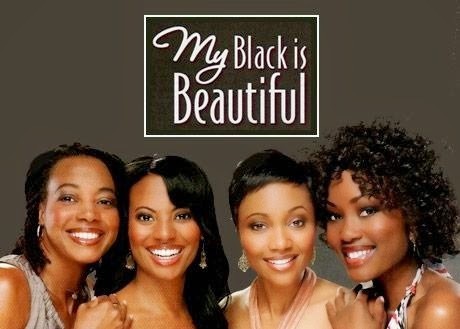 Africans and even African Americans used to be proud of slogan that ''black is beautiful" This came up in some hit songs across the world that some whites wished they could dye their skins into the black colour. Today the trend seems to have changed; women no matter their poor financial state still allocate some money for the purchase of these skin lightening creams. Some could be so expensive. I wonder the wind of change that altered the orientation of black women. Why is everybody developing this sudden apathy for the black colour? The black colour isn't cursed; it is not a sign of ugliness. Personally, I believe was propagated heavily by the entertainment industry. I weep for Africa when I see the criteria for the post of some presenters on TV. After the usual requirements of being verbally sound, having an excellent writing ability, It all ends with you being probably tall, slim and compulsorily light-skinned. This applies to the banking sector, sales, marketing, music video vixens and customer-care jobs are not left out. I believe it should be about the brains, ability to solve problems and strategize on key developmental business issues. Employing strictly light-skinned ladies is a subtle way of encouraging part-time prostitution. This isn't African. In Africa we have this culture of decency and morality. This has forced a lot of dark ladies to forfeit their God-given black skin to pass through the rigorous skin transformation process of toning. A covert study of the bleaching ladies will reveal several cases of side effects ranging from skin burns to irritations, spots, dark patches and other sorts. You ask yourself the exigency behind bleaching. It bores down to lack of confidence and low self esteem. It is worse for bank marketers, who are encouraged to wear tight short skirts to flaunt the belongings of their future husbands. This is a mind control technique. They exploit the loophole of the genetic make-up of men who tend to experience a momentary reduction in the quality of thoughts or decisions the moment they are sexually enticed/horny. This also accounts for the reason why we have more of successful light-skinned female presenters and sales representatives. All they do is build a tentative foundation for a business on a weak foundation. The success is always massive but on a short term note just like the lifespan of their momentary beauty. In a couple of years, the beauty becomes a disaster. The skin develops so many colours and the victim is forced to wear heavy foundation make-ups even when they want to sleep in order to look good in their dreams lol. A vivid example is a past Oyo state Governor. I am not permitted to mention his name. A look at his face now could purge you of a freshly eaten nice meal. Beauty comes from the heart. That is one fact a lot of women have failed to realize. The physical attributes will only please men with obnoxious intentions. The good ones fall in love with the heart because that is the best foundation on which a futuristic plan like marriage can be laid. To support this, beauty can ignite a relationship but it takes a strong/good character to keep it. Everyone wants to be attractive; everyone wants to be that figure both sexes turn their necks to admire at social gatherings. They are other ways to do this. This bores down to you discovering your area of strength and developing it. Learn to excel in one area, it could be your taste for fashion, the way you walk, your accent, confidence, your ability to organize people, your way of smiling (this is a strong sign of peace) etc. Black is forever beautiful, the black skin never fades away. The black skin is our identity and ties to mother Africa. It is that sense of belonging. The black skin survives in any weather. The black skin is supreme. It is who we are. We should never alter the black skin.